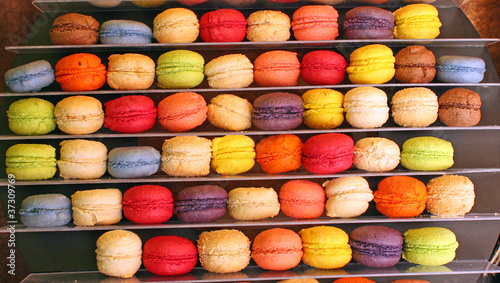 Colorful macarons cakes. 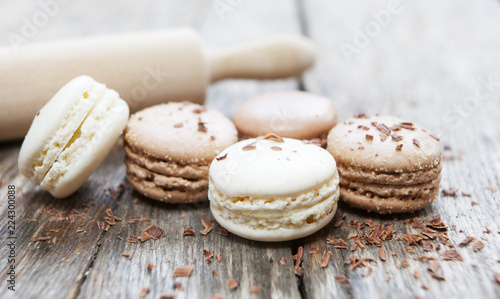 Small French cakes. 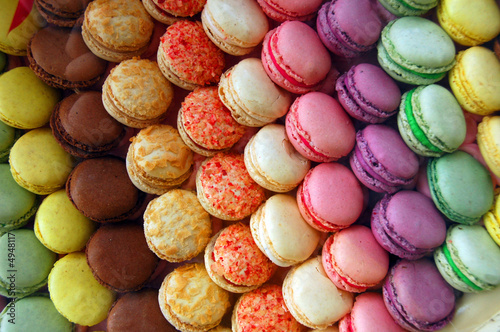 Colorful macarons cakes. 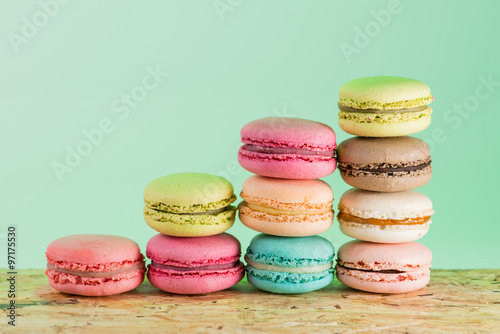 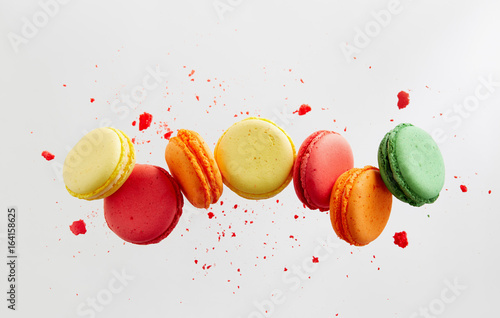 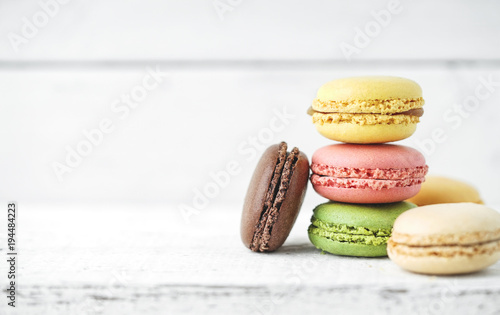 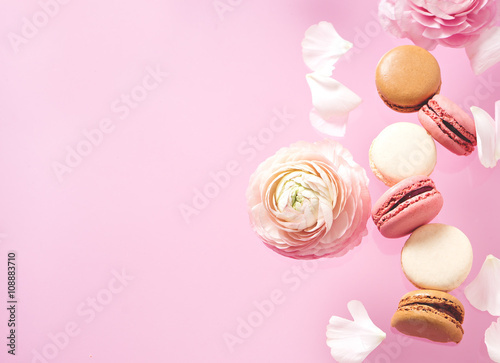 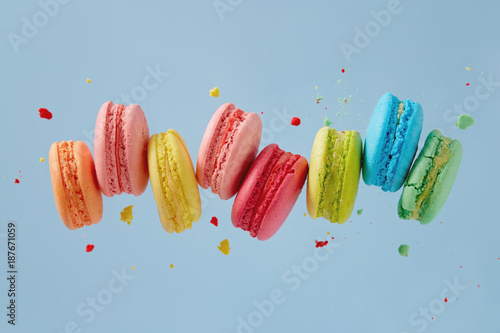 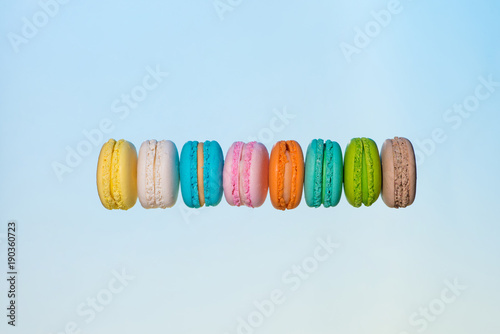 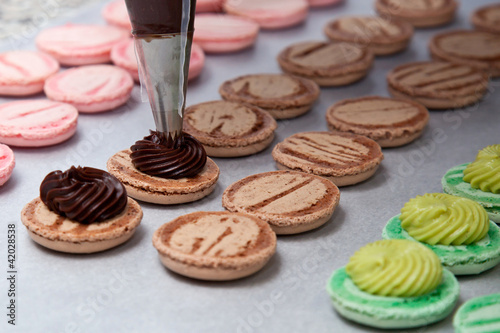 Sweet french macaroons flying in motion. 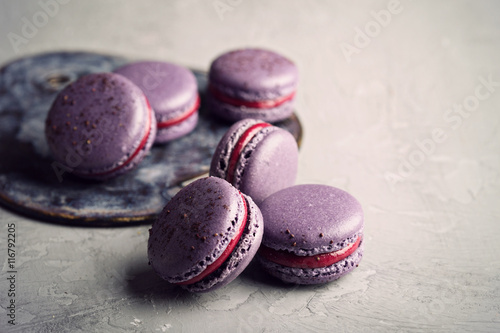 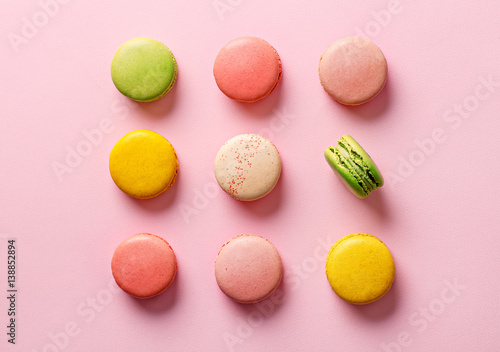 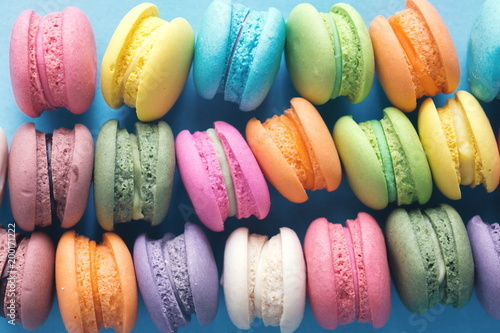 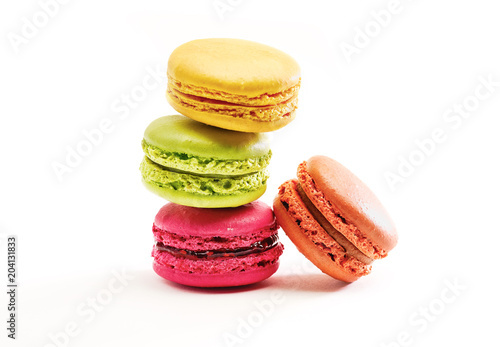 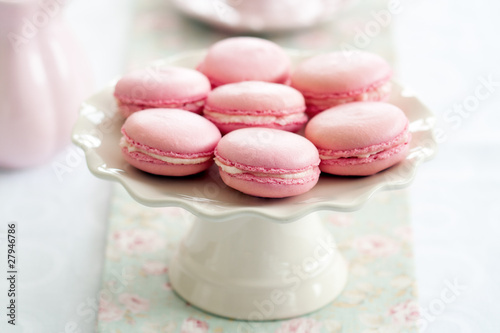 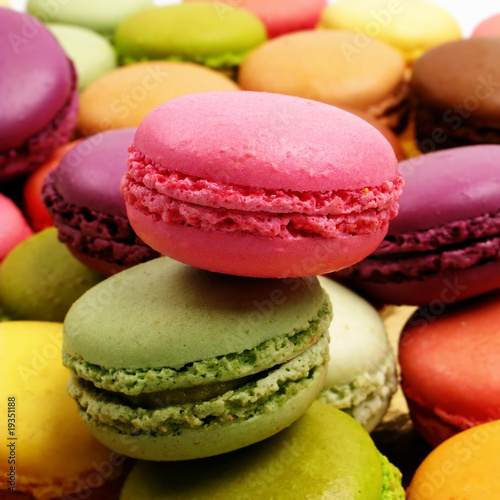 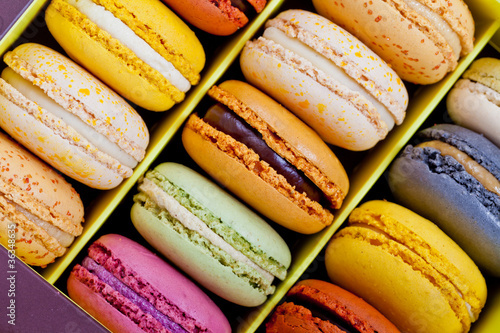 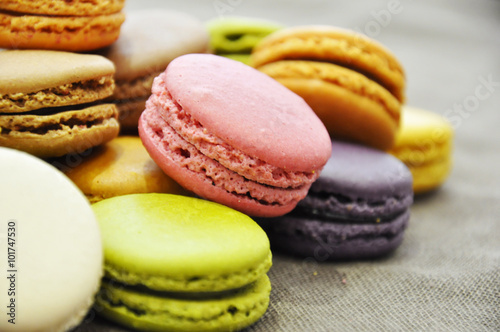 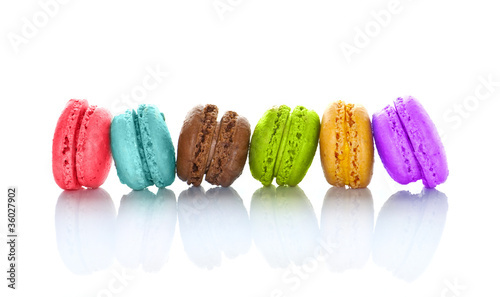 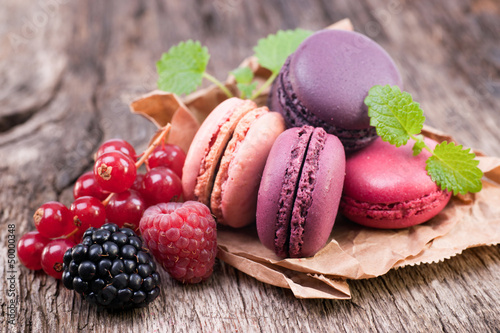 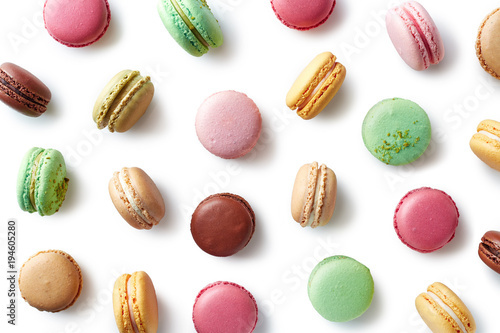 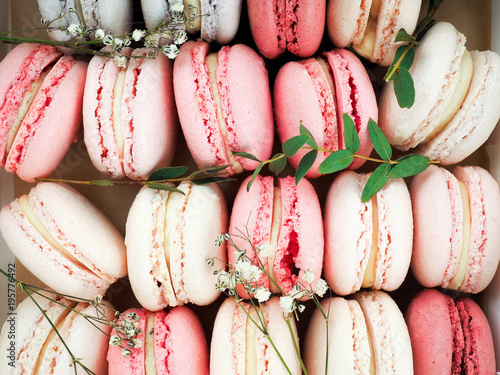 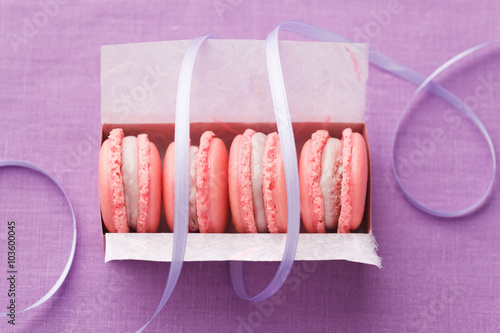 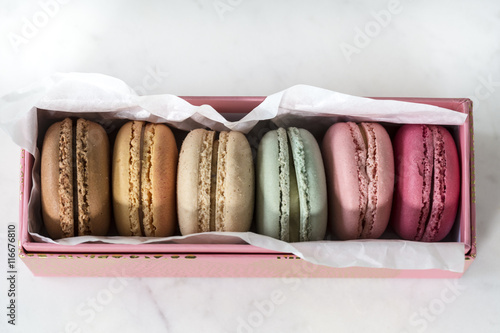 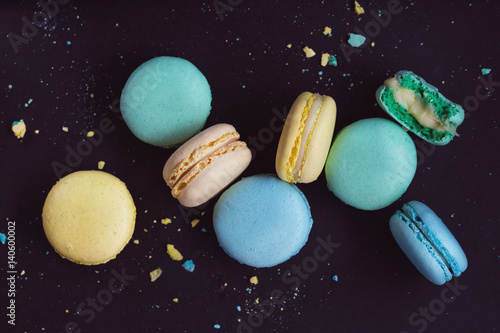 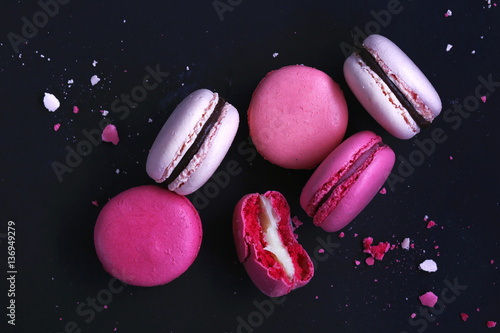 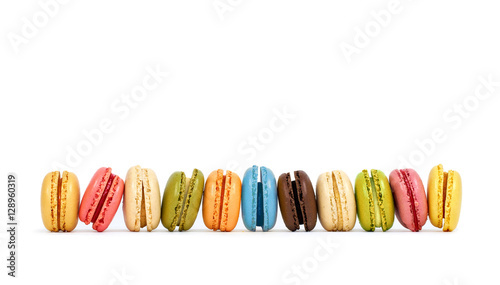 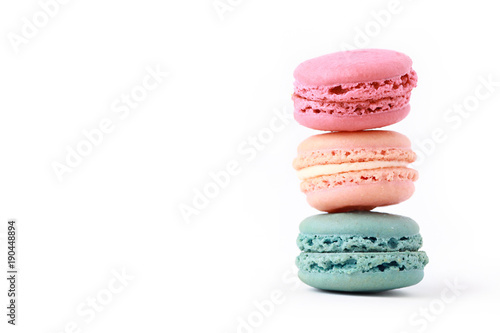 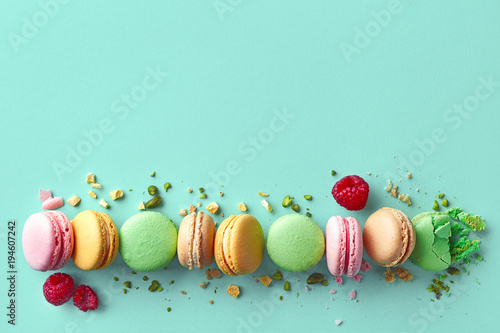 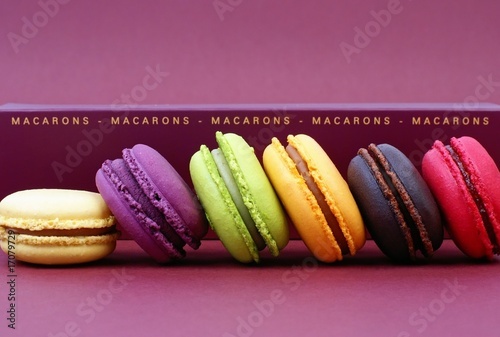 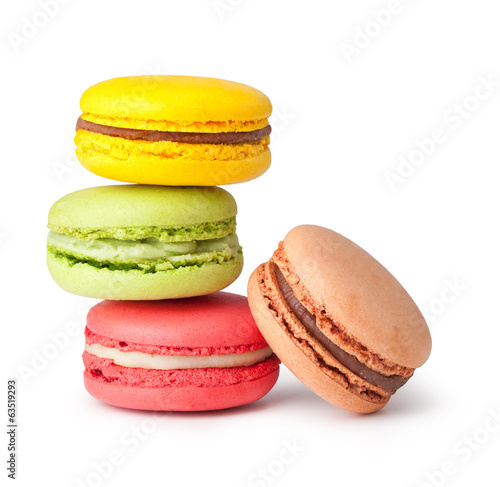 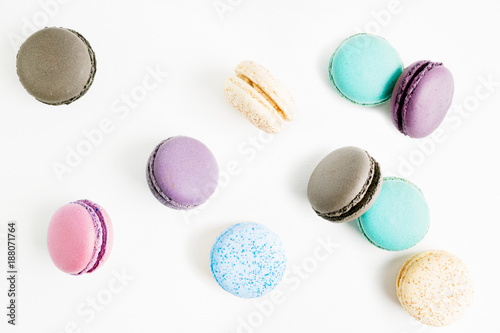 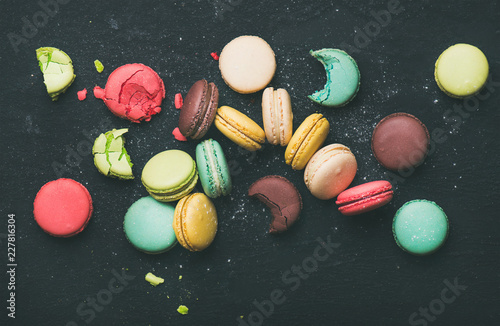 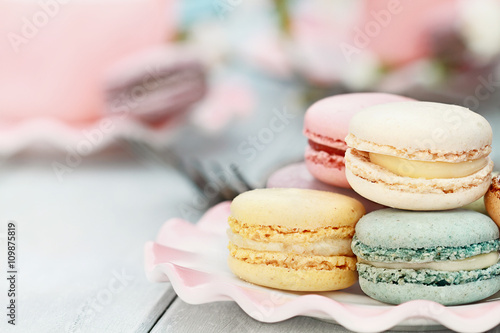 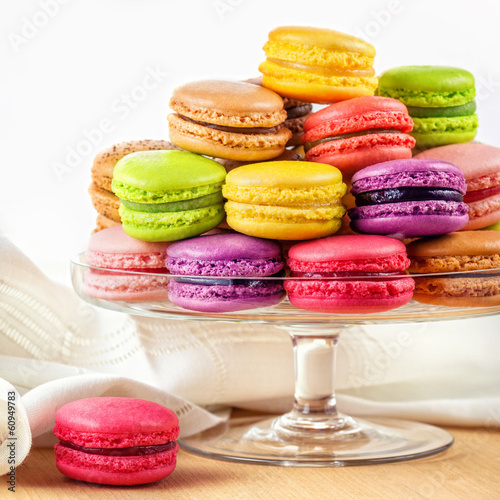 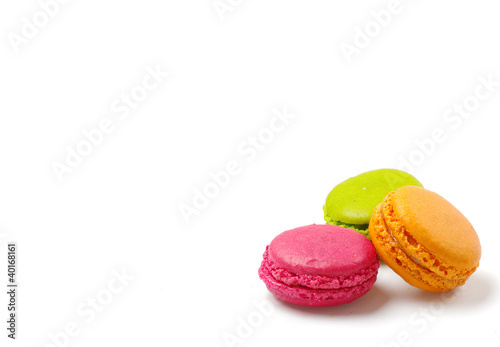 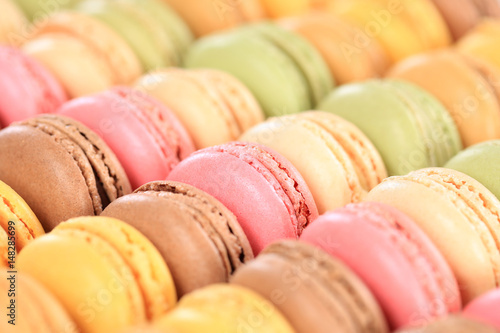 Beautiful Sweet and colourful french macaroons. 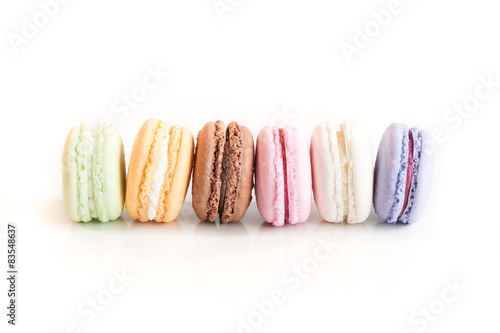 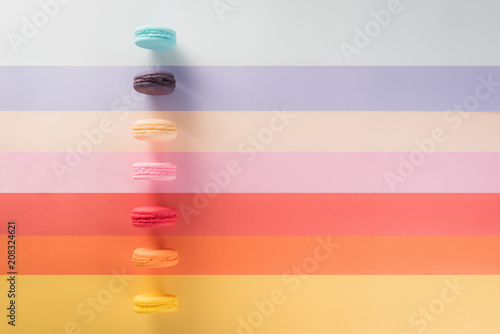 Colorful macarons cakes with close up shot.